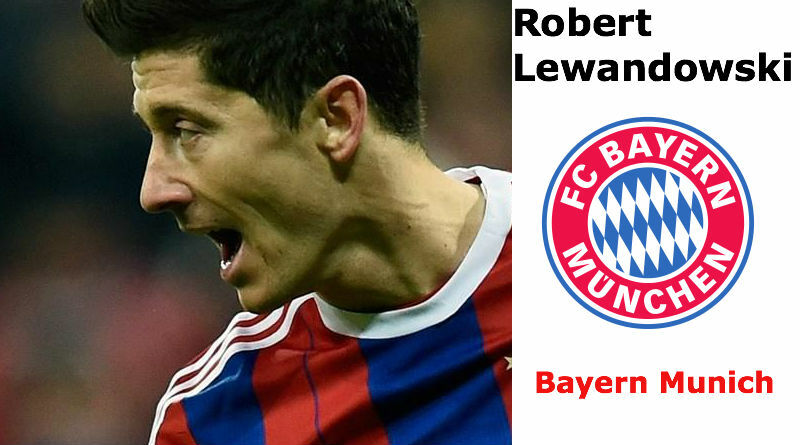 Robert Lewandowski prefers Real Madrid over an EPL side, Spanish sports newspaper AS is reporting. Lewandowski agent also says La Liga is a better fit. MUNICH, Sporting Alert – Bayern Munich and Real Madrid will meet in the final of the 2015 Audi Cup on Wednesday after winning their respective semi-finals at the Allianz Arena on Tuesday. Manchester United, Arsenal and Liverpool were all linked with Mario Gotze, but it was Manchester City who made a huge bid for the German star, according to Bayern Munich chairman Karl-Heinz Rummenigge. Robert Lewandowski, Xherdan Shaqiri and Thomas Müller all start for Bayern Munich in today’s German DFL-Supercup clash with Borussia Dortmund. BERLIN (Sporting Alert) — Watch Borussia Dortmund and Bayern Munich battle things out for the German DFB-Pokal title at the Olympic Stadium in Berlin on Saturday. (Sporting Alert) — Cristiano Ronaldo is only on the bench tonight for Real Madrid in their Champions League quarter-final second leg visit to Borussia Dortmund. MADRID (Sporting Alert) — Iker Casillas has been handed the starting place in goal for Real Madrid in tonight’s Champions League quarter-final clash with Borussia Dortmund at the Santiago Bernabeu. Arsenal manager Arsene Wenger has decided to keep faith in the same starting side that beat Liverpool in EPL on Saturday for Wednesday night’s Champions League game with Borussia Dortmund at Signal Iduna Park in Group F.